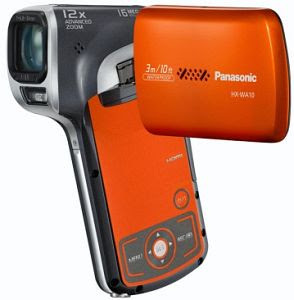 The Panasonic HX-WA10 offers a 16-megapixel backside-illuminated sensor capable of recording 1080p moves.The backside-illuminated sensor provide improved recording in low-light situations - especially indoors.The WA10 offers a tempting selection of recording formats: 1080/60i, 1080/30p, 720/60p, 720/30p, 540/30p and 480/30p. Movies are recording as H.264 MP4 files, with audio in two-channel AAC. This is all complemented by electronic image stabilisation (EIS) and a slightly complicated zoom. The included HD Writer VE 1.0 software enables hassle-free videao uploads to Facebook and YouTube. 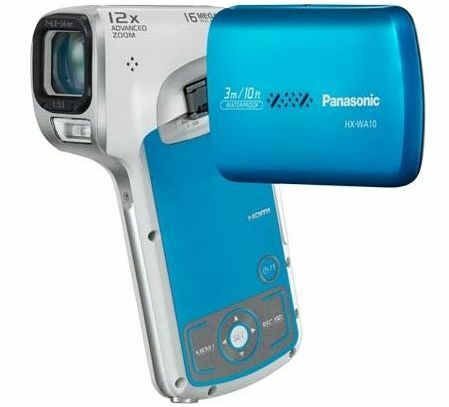 The actual optical zoom is 5x, but Panasonic's Advanced Zoom can take this to 12x with no drop in image quality. 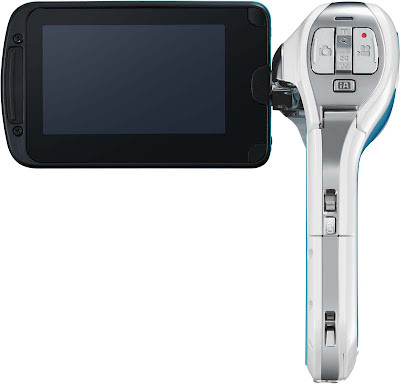 There is also digital zoom facility with drop in picture quality.There is a 2.7” wide TFT LCD monitor which helps you during photo shoots and video recording. 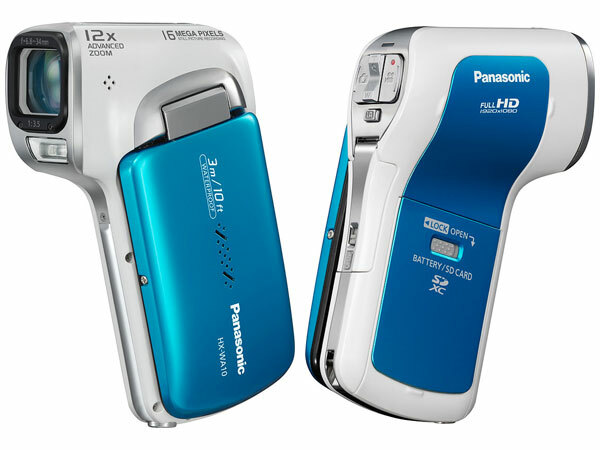 The WA10 takes SD/SDHC/SDXC cards and offers video-out over mini-HDMI (cable not included) or with an AV cable (included). USB port is also provided to transfer files. The Panasonic HX-WA10 will come with a price tag of around £250. Tags:Panasonic HX-WA10,Pistol style camcorder, camera, HD, waterproof camcorder, Panasonic HX-WA10 features, Panasonic HX-WA10 details, Panasonic HX-WA10 review, Panasonic HX-WA10 specs, Panasonic HX-WA10 specifications, Panasonic HX-WA10 information, Panasonic HX-WA10 images,Panasonic HX-WA10 pictures,Panasonic HX-WA10 pics, Panasonic HX-WA10 color options.